These semi-transparent water-based inks have a smooth, creamy consistency and long open time that screen printers rave about. 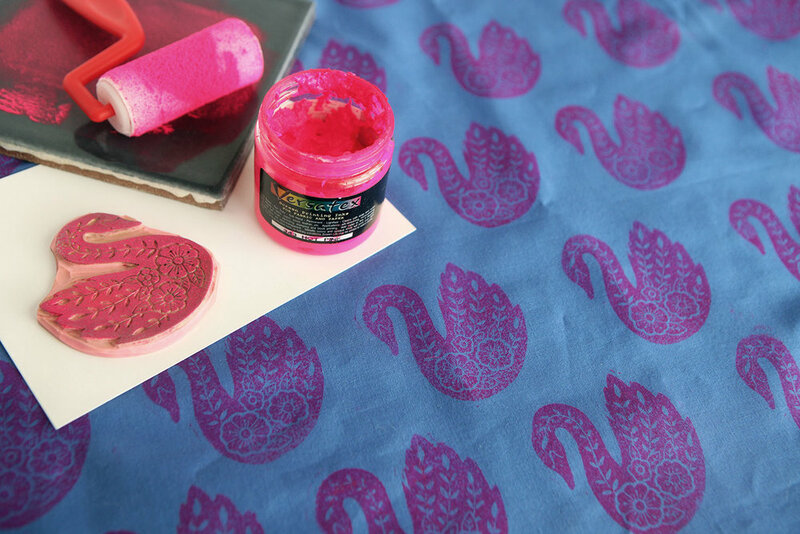 The softest ink available for fabric, Versatex inks hold up exceptionally well to washing, making them the inks of choice for many professional textile printers. Non-toxic and odorless, Versatex inks are super vibrant on light colored fabrics and papers. The colors mix and overlay beautifully and may be thinned and cleaned with water. Increase the transparency without affecting viscosity by using the #300 Clear Extender. The metallic colors and #345 Opaque White have excellent coverage on dark grounds. For maximum permanence on fabric, heat set or use the Versatex Fixer additive. Screen Life may also be added to the inks to extend the open time on the screen.